What would you think if I gave you an argument that trust is the starting point of leadership? In Finnish school system trust is one of the biggest values. The whole educational system is based on trust. Parents trust the school system, politicians trust education providers, education providers trust principals, principals trust their teachers, teachers trust their students and students trust their teachers. It´ is that simple. It is easy to trust the school system if everything in schools is pedagogically justified. The pedagogical leadership means the principal makes sure that the main mission of the school is crystal clear – to improve learning and competence. 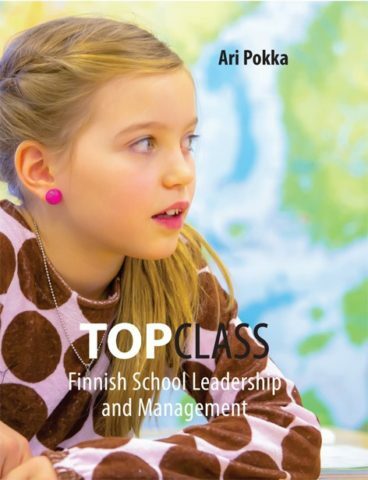 I read a book “Top Class, Finnish School Leadership and Management” written by Finnish principal Mr Ari Pokka, the President of the International Confederation of Principals. In his book he wrote that it is principal´s duty to be visible in students ´everyday life. Principals go where their students are and many of them have a clear strategy of leadership: they walk amidst the students, trying to sense their emotions. Principals educate students with their attitude and mere presence. Principal, together with the teaching staff, can steer student activities and utilize them to make school a more satisfying learning environment. This may happen if the adults at school recognize themselves as learning environment of adulthood. Ari Pokka writes in his book “Top Class” that the reconstruction of the management structure also changes the character of leadership. Managing operations and situations turn more and more into predictive shared planning. At its best, this planning includes all parties that are relevant to school operations. This operating model ensures that the principal´s office turns from a hectic hub of solving problems into an operator where several professionals take care of their areas of responsibility smoothly in their right time and place. This kind of management stucture would allow principals a better focus on the pedagogical leadership of the school.